I have a few minutes today, so I want to get a post out on the changes from the first to the second edition of Blood & Treasure. I won’t swear that this is exhaustive, but it’s pretty close to it. Thieves can assemble teams of rogues for capers – bypasses the normal henchman rules … but can the thief trust these guys? That’s all that comes immediately to mind. I’m working diligently on the Monsters book now. Stay tuned, true believers! 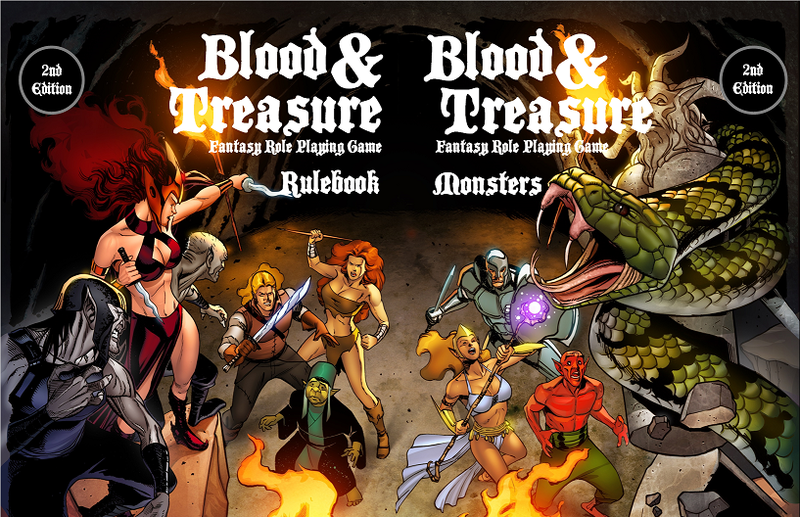 ← Blood and Treasure 2nd Edition Rulebook is Released! I like Nod a heck of a lot, but I use the various incarnations of S&W almost exclusively; it was actually the early issues of Nod that got me into S&W so I blame you. Reading this post really makes me want to check out the new edition of B&T. Ist it a very close rule set to snw? Actually, S&W is why B&T exists. As you know, I started writing all my stuff for S&W, but found that I was spending too much time converting monsters and spells from the SRD that I wanted to use. So I conceived the idea of writing a free PDF of all the SRD spells converted for S&W, and another with all the monsters so I could just reference them. After I got started, I realized I also wanted all the classes (which I'd sort of done in the early issues of NOD), and I finally realized with all that I had done, I had practically written a game of my own. So, to make a long story short (too late), it's not too far from S&W. It's nice that there's a second edition, but why delete the first edition (it's no longer on lulu)? Given that there are differences between the first and second edition, don't you think some people might still want to buy the first edition? 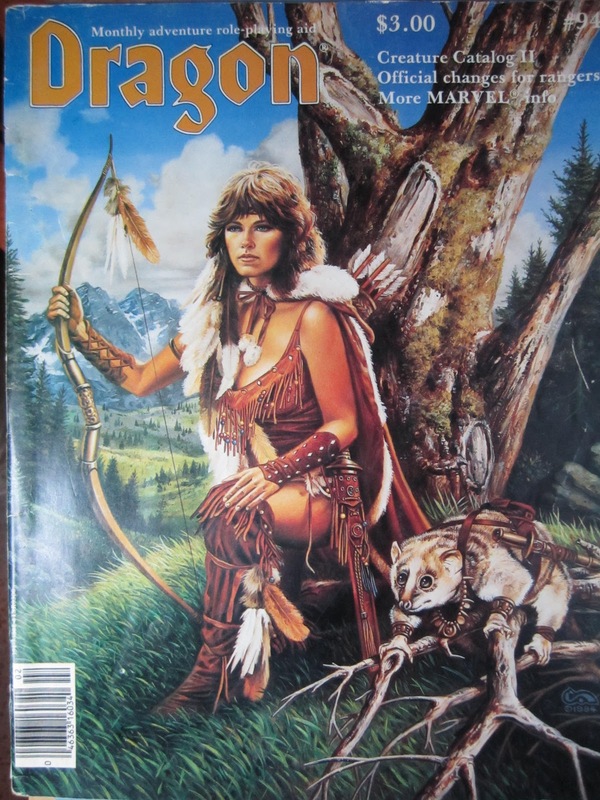 I mean, some people still like playing 1st edition AD&D, even though there's a second, third, fourth and fifth edition. I will likely return 1st edition to the market someday. At the moment, I think it would be confusing to people to have two versions of B&T for sale at the same time – folks might by the 2nd edition rulebook and then buy the 1st edition Treasure Keepers Tome without realizing they don't go together. After some time has passed, I think I can put it back out there without risking people buying things they don't need. Will there be another print option for 2nd Ed on Lulu? Yes sir – just waiting on a review copy so I can make sure it looks okay. I'll do hard cover and paperback. Hopefully pretty soon. Excited about 2e (eyeing a copy on Lulu), but: does this mean the NOD Companion is pretty much not compatible with the 2e rules? Will things from the Companion (say like the Curmudgeon class) make an appearance for 2e? It's still broadly compatible, but would take a little work. I'm going to do a new version of the Companion called Esoterica Exhumed, that will include a few additional classes, races, spells, etc.